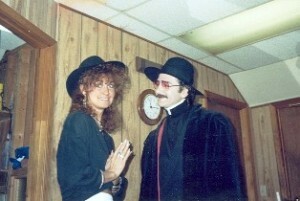 The Daily Shows Jon Stewart, in the Punchline Upstairs Green Room with some interviewees for a writing gig five years in the future. 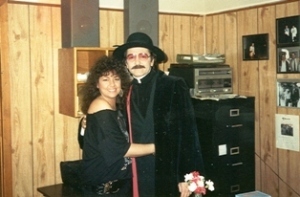 Marcey and Father Guido Sarducci, and I dont thing she wound up being absolved. 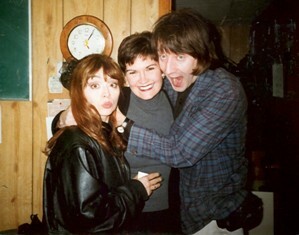 These hairstyles were temporary - Judy Tenuta and Emo Phillips make a sandwich. 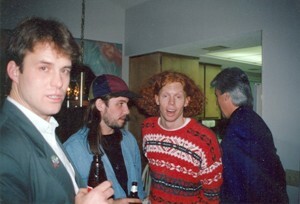 Grant Turner, Charles Viracola and Carrot Top at one of James Gregorys Holiday Shin Digs. 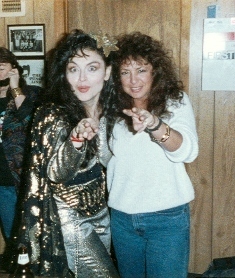 Circa 1990 something.